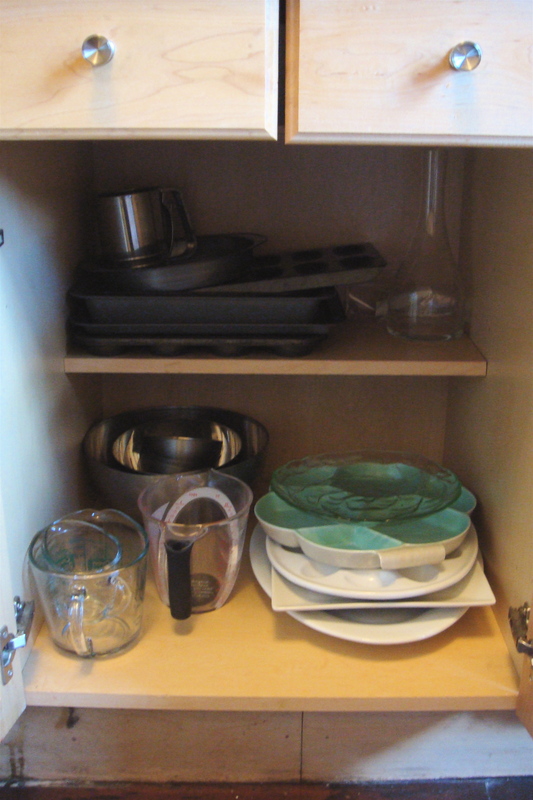 People tend to overcomplicate getting organized. They think that the more organizing products they have the better the results. I think these ‘magic’ products are just more stuff, and more stuff is not something most people need. In many instances, I advise my clients to live with the changes we make for a while to see if adding something will really make a difference. 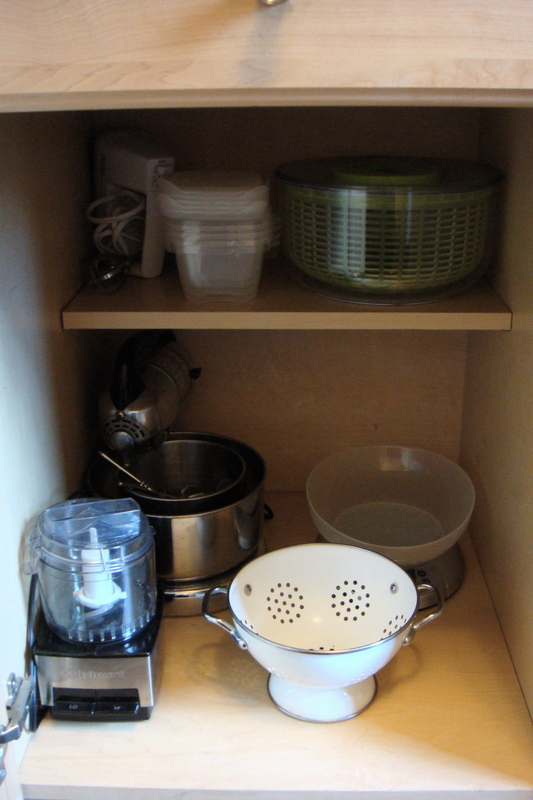 For example, I generally install pull-out drawers for the lower cabinets in kitchens. For may people (especially those who own and/or cook a lot), it’s a no brainer. But for those of us who rent and aren’t sure how long we’re staying, it’s not always necessary. I’ve always had this attitude of only buying what’s truly needed to make an improvement but I have to say with the current economic climate, people are much more receptive to it. sounds cool bonnie! any photos? ?